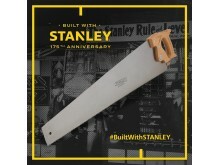 STANLEY has announced A.C.E. 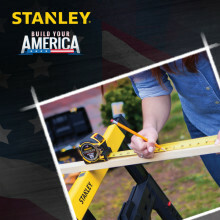 Peer Resource Center of Seaford, Delaware its third and final round winner of its BUILD YOUR AMERICA 2016 contest, and marked the conclusion of the program where participants nominate and vote for a USA public charity or private foundation to receive $10,000, and an assortment of Stanley Black & Decker tools valued at $1,000 for use in completing a community project. 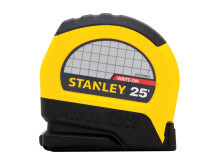 Today STANLEY® announced the Smart Measure Pro from its Smart Tech line of products. This user friendly device allows you to take measurements from images using your smart phone. This cutting edge device has the ability to take a picture of anything and provide the user with accurate measurements instantaneously. 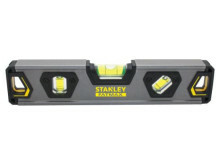 STANLEY® FATMAX® introduces a new 9” Cast Torpedo Level and 9” Extruded Torpedo Level – both with new features to enhance visibility and quickly adjust projects to level. 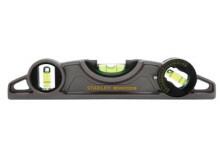 The 9” Cast Torpedo Level features rare earth magnets for excellent holding power to metals. 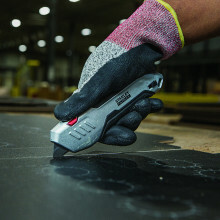 The die-cast aluminum body is slightly heavier than other levels for strength and long tool life.